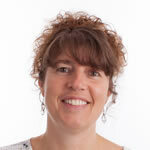 The issue of fire doors and fire exits can be confusing for non-professionals in fire safety. If you have to replace some of the doors in your premises with fire doors or you have to improve egress from a building with panic bars on fire exits, it will be helpful to have a clear understanding of the differences between fire doors and fire exits. A fire door is an internal door, whose purpose is to i) create/protect an escape route through a building in a fire situation; and ii) compartmentalise a fire, to stop flames and smoke spreading from one section of the building to another. Examples of locations of fire doors include stairwells, where they protect the stairs from corridors opening on to them; kitchens/catering facilities, storage areas that house combustible materials such as paper and card and boiler rooms. Fire doors have to be kept close at all times unless certified fire door retainers are installed (not just a door wedge!) which hold the fire door open until a fire alarm is set off. Certified fire doors of solid timber construction are designed to resist the smoke and flames of a fire for a minimum specified length of time, typically 30 minutes (FD30), when closed. Because a fire door is not simply a block of wood in a frame but an assembly of fire resistant parts – door leaf/leaves, doorframe, hardware (e.g. locks, latches, hinges, etc), any glazing, smoke/intumescent seals and an automatic closing device – it is also known as a fire doorset. A fire exit door on the other hand, is an external door; it can be left open and does not have to be fire resistant. The purpose of the fire exit door is to allow a quick and un-hindered escape through a well lit door into a place of safety while stopping un-authorised access from the outside. Fire exits doors should open easily and, wherever possible, in the direction of traffic flow. If it is a security door that is usually kept locked but will be used by members of the public in an emergency situation, it will have to be fitted with a panic or push bar. By enabling the swift passage of people to a place of safety, the final exit door will have performed its function; it does not have to be a fire door to accomplish this. Fire exit doors can also be opened from the outside if for example a panic bar with a keylock override is fitted. Fire exits must never be obstructed and have to be clearly marked and well lit. Best practice dictates that fire exit signs are fitted above fire exits. 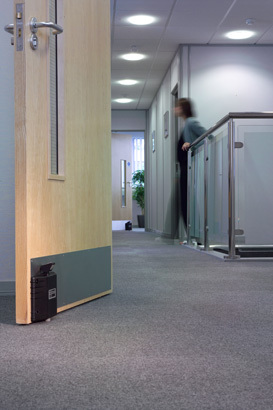 A fire door is one of the most important fire safety products on your premises. It will prevent the fire or smoke from spreading across the building and keep the fire contained to a particular compartment or room, giving occupants longer to escape and the fire service longer to rescue anyone who is trapped and put out the fire. They will also prevent more of your building and property from being lost to the fire than necessary. 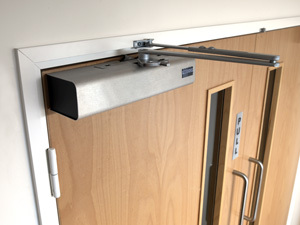 The fire door can only be effective if it is installed with a fire door closer. 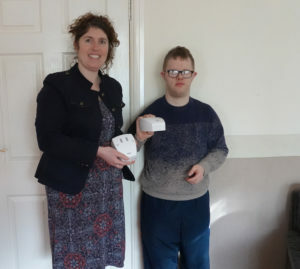 As the name suggests, the closer ensures that the door closes automatically once it has been opened and needs to be able to handle different weights of door. We have a range of different door closers available, including all the leading brands such as GEZE and Briton. We also have concealed door closers, which are ideal if you feel an overhead closer would be unsightly or out of keeping with the building. 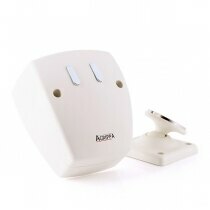 These are also good for reducing vandalism, as most of the fixture is hidden out of sight. Although fire doors should always be closed, sometimes this can be inconvenient or difficult to manage for customers with buggies or wheelchairs. Wedging a door open, usually with a fire extinguisher or door wedge, is extremely unsafe and illegal. Instead consider installing Dorgard fire door retainers, which will hold the door open legally and also release the fire door in the event of the fire alarm sounding. Ensuring maximum access and safety at the same time. Now that the weather is getting warm many offices will be feeling hot and stuffy. The natural reaction to this is to open doors and windows to increase the air circulation. However, holding self-closing fire doors open with extinguishers and other ‘handy’ objects stops fire doors closing when the fire alarm sounds. This is not only illegal, it is also very dangerous. Fire will spread rapidly should the fire doors remain open. This is where a Dorgard fire door retainer (fire door holder) comes in. The Dorgard is designed to hold fire doors open and to automatically release on the fire alarm sounding. 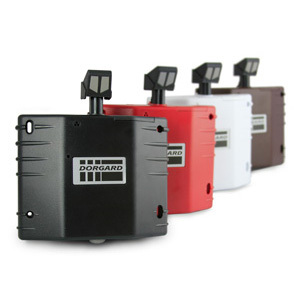 Dorgard is battery operated so there is no need for costly electrician bills to install the units. Safelincs offers the Dorgard with an unprecedented 5 year warranty, which is exclusive to our customers. No other distributor offers the 5 year warranty. We also ship the Dorgard free of charge and if you purchase more than 5 units, the price reduces to £94 + VAT.